Artistic Cosmetic Solutions is Idaho’s only clinical practice dedicated to Micropigmentation services. All procedures are performed by Dr. Laura Reed, an Optometric Physician who specializes exclusively in Permanent Makeup and Medical Tattooing. She is the only cosmetic tattoo artist in Idaho who has two internationally recognized Certifications and is licensed for permanent cosmetics in Washington State. Dr. Reed has won “Best of the West” awards for permanent makeup artistry and is CDC-OSHA Bloodborne Pathogens Certified. Highly experienced, she has been featured and quoted in newspapers, magazines, online blogs, and on local radio. She has written articles published in industry newsletters and has contributed to two books (Surviving Beautifully and The Permanent Makeup Manual). Patients travel to her from all over Idaho, other states, and other countries because they will not trust their faces in anyone else’s hands. The State of Idaho requires 2,000 hours of training for a cosmetology license, but ZERO hours for tattooing someone’s face! 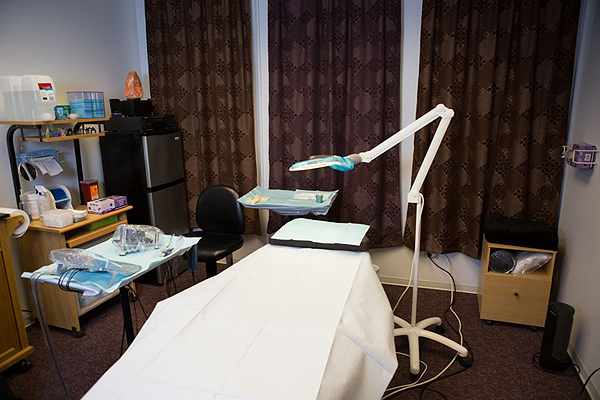 Idaho has NO licensing board regulating Permanent Cosmetics, Body Art Tattooing, or Piercing. Anyone can do it anywhere without passing an exam, with no standards for training, teaching, or continuing education. Even worse, Idaho has NO health department inspections of artists, equipment, or sterilization methods to ensure compliance with CDC-OSHA regulations. As a result, the Red Cross can prevent Idahoans with tattooed makeup or body art from donating blood for up to one year. Exceptions include permanent makeup done by a physician or under direct supervision of a physician. To date, Dr. Reed has not had one of her patients deferred from blood donation. Why Choose Artistic Cosmetic Solutions for Your Permanent Cosmetic Procedure? Artistry… Dr. Laura Reed’s keen eye for shape, symmetry, and color stems from being an artist. She is formally trained in figure drawing, portrait drawing, color palettes, and color mixing. She is a Certified Master Eyebrow Designer and Makeup Artist with decades of experience in conventional makeup application. Her innate talents and advanced skills enable her to create beautiful permanent makeup that is natural looking, subtle, or glamorous. Her goal is to please you with the look you desire, but she will not tattoo anything that is unsafe or unflattering. It must be a win-win partnership since it is your face and her reputation. Knowledge… As an Optometric Physician, Dr. Reed’s education in human anatomy, physiology, and pharmacology gives her a unique understanding of skin and tissue responses during procedures. Her credentials from the Society of Permanent Cosmetic Professionals (SPCP) and American Academy of Micropigmentation (AAM) are TRUE certifications that are more than a piece of paper with her name on it. To become a Certified Permanent Cosmetic Professional (CPCP), Dr. Reed passed a two-hour standardized written exam and scored highest in the nation! Also, she must complete continuing education courses to renew her CPCP status. To become a Board Certified Fellow in Permanent Cosmetics (FAAM), she passed four timed and standardized tests with high scores–written, oral, practical, and chart documentation examinations. Safety… Dr. Reed uses high-tech equipment and sterile safety needles that prevent cross-contamination (disease transmission) between patients. Although her office in Idaho is not inspected annually as it was in California (due to no laws here), she still follows the same infection control standards to protect patients. Dr. Reed also uses hypoallergenic pigments from trusted manufacturers to reduce risk of allergic reactions. She gives correct after care products with detailed instructions for patient convenience and protection. Physicians, nurses, and other health professionals refer their patients to Dr. Reed because they trust her background, credentials, and experience…and many become patients themselves! Experience… In 2006, Dr. Reed opened her micropigmentation practice in Southern California. She quickly developed and sharpened her skills due to the high population and ethnic/racial diversity. She relocated to Idaho in 2012 and maintains a busy practice. In Idaho, the majority of technicians offer permanent makeup as another service along with hair, nails, facials, massages, spray tans, or body art. However, Dr. Reed is unique since her attention is focused 100% on permanent cosmetic procedures. To date she has performed over 7,000 procedures since 2006. In addition, she has decades of patient care experience as an eye doctor. 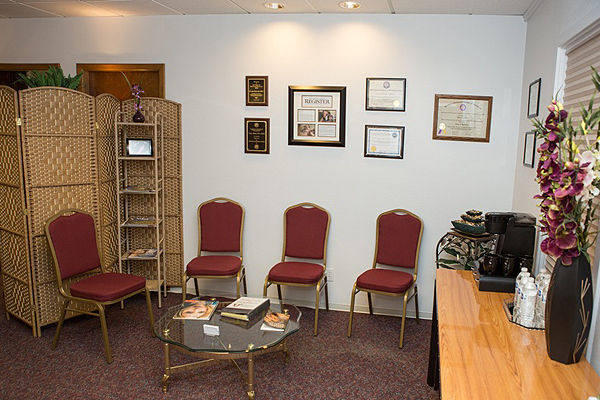 Comfort… The atmosphere at Artistic Cosmetic Solutions is professional but not pretentious. The procedure room is CDC-OSHA compliant for sanitation and disinfection, yet it is relaxing with soothing music and soft blankets. Dr. Reed correctly uses the most effective topical anesthetics to minimize discomfort during a procedure, and her patients are so relaxed they often doze during the process! Patients who have had procedures done before by other artists tell her that their previous experience was painful, but not when she performed their procedures. To learn how Dr. Reed transitioned into permanent cosmetics, please visit the page Meet Dr. Laura Reed. To find other pages with useful information, please visit our Permanent Makeup Site Map.